“Scots law has a tradition of being receptive to the best international legal developments, given the obvious advantages for Scottish traders, lawyers and arbiters in having our internal law the same as the law which is now widely applied throughout the world in relation to contracts for the international sale of goods, and...the sensible tradition in Scotland of not having different rules for the formation of contracts of different types”. “The existing postal rule gives rise to well-recognised difficulties. What happens, for example, if the letter of acceptance is lost in the post and never arrives? Logically a contract has been concluded, but some Scottish judges have doubted whether this would actually be held to be the law if the situation arose. What if the letter of acceptance is wrongly addressed, or unstamped? There is no Scottish authority directly in point. What if the acceptance is withdrawn by telegram, telex, fax or telephone after it had been posted but before it had reached the offeror? Logically, the withdrawal is too late, because a contract has already been concluded, but this result may seem unpalatable. Does the rule apply to a qualified acceptance, or is a qualified acceptance to be treated as an offer for this purpose? If the latter, is it not anomalous to have one rule for unqualified acceptances and another for qualified acceptances? How far does the rule apply to quasi-postal acceptances? 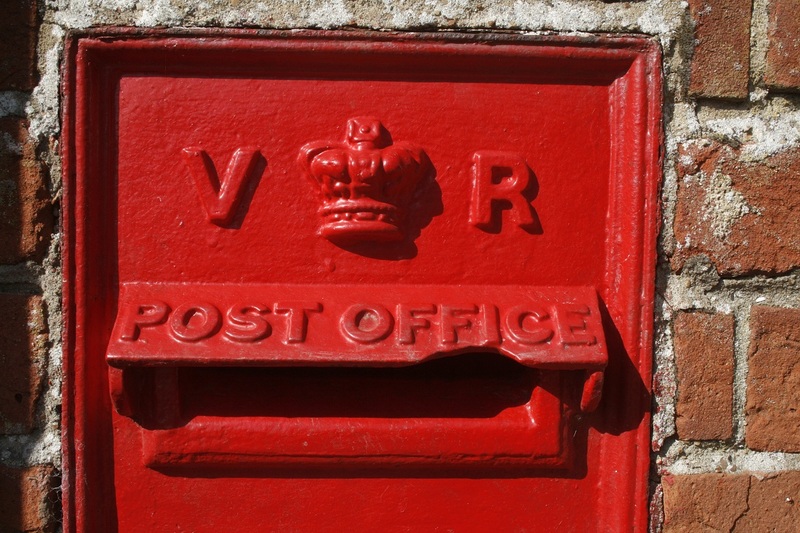 Does it apply if the letter is passed to a letter exchange scheme or to a private messenger? Does it apply to telegrams? Does it apply to acceptances by telex? What if a telex communication is not instantaneous -for example, because the message is sent out of hours? What about an acceptance sent by fax? If the rule does apply to an acceptance by fax, what if the acceptance is fed into the sender's fax machine but, because of a fault in the recipient's machine, emerges in an unreadable form? What about various forms of electronic data interchange? The postal rule clearly gives rise to many problems". “ 18(2) An acceptance of an offer becomes effective at the moment the indication of assent reaches the offeror." "the postal acceptance rule was seen as a particular obstacle to the smooth conduct of trade in an electronic age...The rise of email, the internet and e-commerce since 1993 is a material part of the background to the present review of the law. Although the RFC gave some attention to electronic forms of transacting, emails were then used by only a limited number, mostly in universities and other research institutions, and the internet had scarcely begun to develop as a means of publishing information, never mind as a way of doing business, whether between businesses, between businesses and consumers, or between private individuals who might or might not be acting in the course of a business. The situation has thus been transformed in the last 20 years. In our own observation, email is now the normal method of distance communication between businesspeople and e-commerce involving consumers is growing much faster than retail sales in high street stores." The Commission did not like the complexity it felt was the unnecessary consequence of “dispatched” which, it felt, “suggests that the principle set out is not necessarily applicable to, for example, situations where the parties are dealing face-to-face or on the telephone”. It took the view that “there should be a single general rule or principle on when acceptances become effective, whether between parties who are face-to-face or who are distant from each other”. “ Received from English law in the mid-nineteenth century, this rule applies where the parties reasonably contemplate that the post may be used for transmission of an acceptance to the offeror (it is not necessary that the preceding offer be sent through the postal system). Under the exception, an unqualified acceptance takes effect when the acceptance is posted, rather than when it reaches the offeror. The rule only applies to acceptances: postal offers, withdrawals of offers and qualified acceptances do not benefit from the postal acceptance rule, and they only become counter offers when actually communicated. So recently, for example, it has been held not to apply to a notice that a contractual break option was to be exercised. The rationale for the rule is essentially that the offeror, having initiated the transaction and in doing so having use of the postal service in its contemplation, should bear the risks inherent in the period of time between the posting of the acceptance and its arrival with the offeror, while the offeree may rely on having a contract after doing all in its power to conclude one. The offeree may also benefit from a presumption that a letter which has been posted has also been received”. "There is...one important function of the postal acceptance rule which we think should continue to be part of the law on formation of contract, namely the protection of the offeree who has sent an acceptance unaware that a revocation of the offer is on its way from the offeror at the same time. It would be unsatisfactory if such cases became disputes about which of the two communications had been first to reach its intended recipient and become effective." It certainly seems clear that the courts in Scotland, whilst acknowledging the rule's existence, are alive to the difficulties it creates. In Carmarthen Developments Ltd. v Pennington (2008 CSOH 139) , the parties had concluded contracts for the purchase of land. The contracts each contained suspensive conditions. Lord Hodge explained that "The issue...is whether the pursuers exercised their right to intimate that the conditions were satisfied and so made the contracts unconditional before the defender effectually resiled from the contracts." The defender identified the earliest date on which he could resile and isntructed his solicitor to send a fax and follow-up letter that day (a Saturday). The solicitor did so. At the same time, he picked up post for his firm from the local sorting office and left it in the office. Because Saturday was not a working day, the fax intimation was not effective until the following Monday. On the Friday, the pursuers' solicitors sent a letter, by first class post, intimating that the suspensive conditions had been purified. They argued that this purification took effect before the Monday morning because, probably, the first class letter was in the bag of post collected on Saturday and was certainly in one collected before 9am on the Monday. Lord Hodge admired the pursuers' Counsel's "elegant submission" but noted that "Counsel were not able to point to any authority in Scots law in which the postal acceptance rule had been applied to communications other than the acceptance of a contractual offer....[and was] not persuaded that there is any rule in Scots law that the posting of a letter exercising an option falls to be treated as the acceptance of an offer." Similarly, he felt that "the postal acceptance rule is not a default rule to be applied where a party to a conditional sale agreement is required to intimate the purification or waiver of suspensive conditions within a stipulated period." The consultation period ended in June last year and the Commission proposes to publish a draft bill in Easter 2013. The Commission noted that many European countries do not have the rule or an equivalent. If it comes to pass that Scotland joins the ranks of those who don't, clients operating on both sides of the Scotland/England border will need their lawyers to understand exactly how the courts in each country might interpret things.